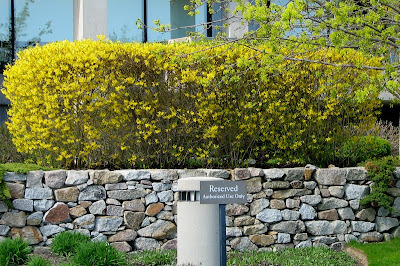 About a week ago, I had the idea of taking pictures of the brilliant yellow forsythia bushes that embellish yards and roads on the way to the ocean. 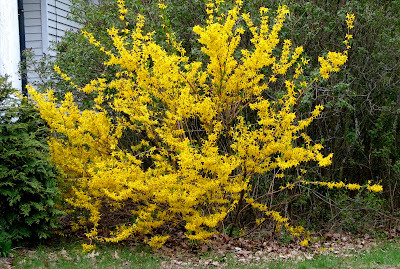 Finally I remembered to bring my camera on my daily ride, and discovered that my dear wife - an avid and creative gardener - was correct when she warned me that "Forsythia only flower for 10 days to two weeks." 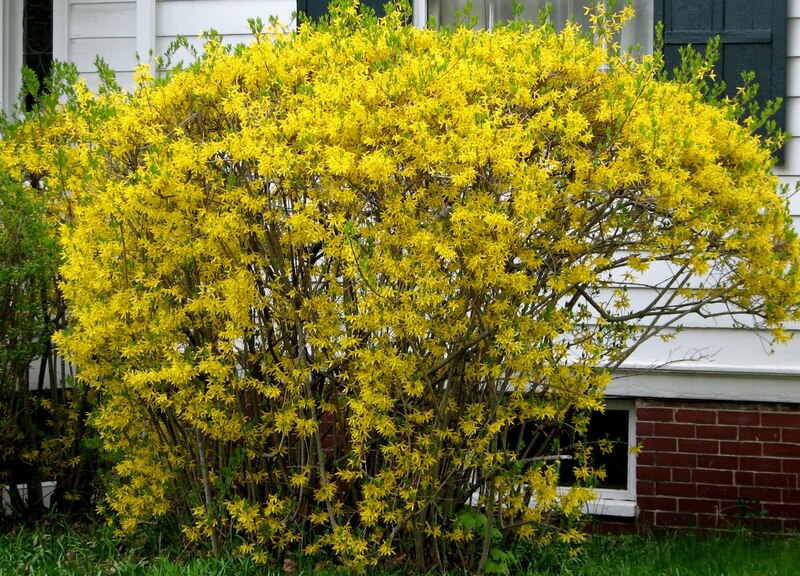 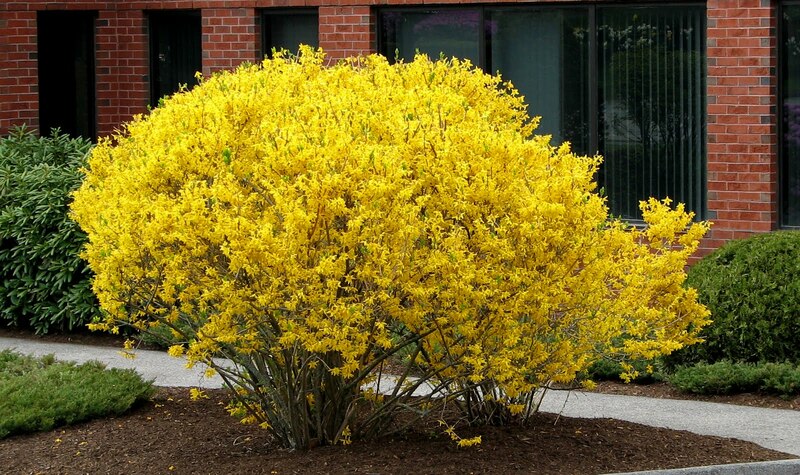 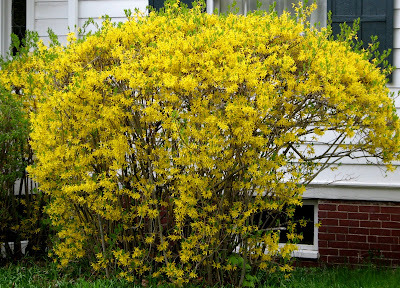 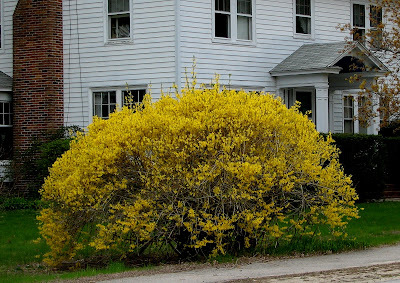 What you'll see below aren't the brightest, fullest forsythia in Maine this spring. 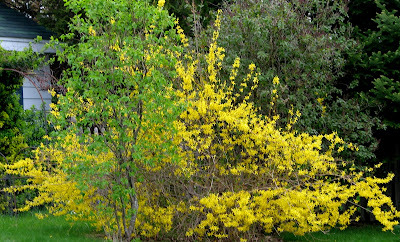 Those were enjoyed by photographers who remembered their cameras about a week ago. This little bush, with the flock of flamingos inexplicably populating the grass, is outside the office of a law firm. 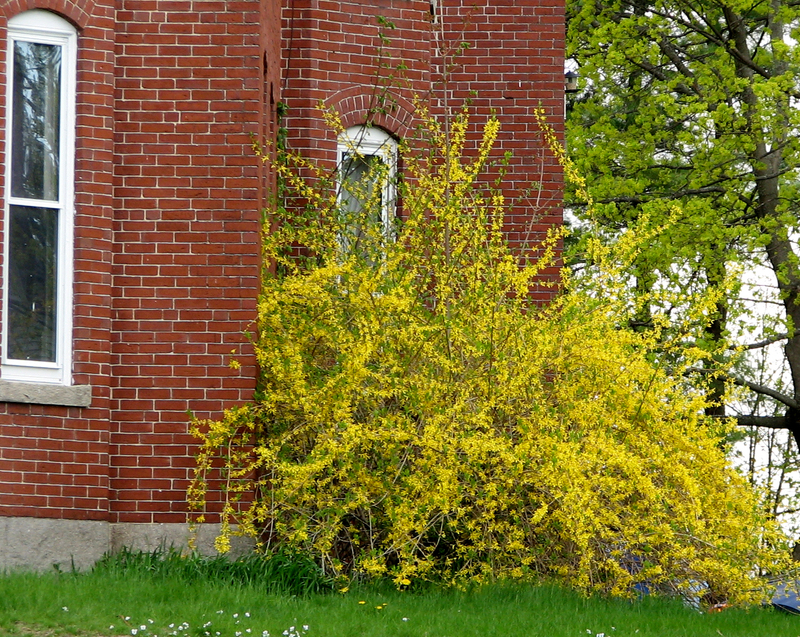 Frankly, I would hesitate to use the services of anyone with this many pink plastic tropical birds polluting the front yard, but I'm probably just too picky. On one of the many back roads winding through the outskirts of Portland, this patch of forsythia bushes is just part of the yellow beauty of spring. 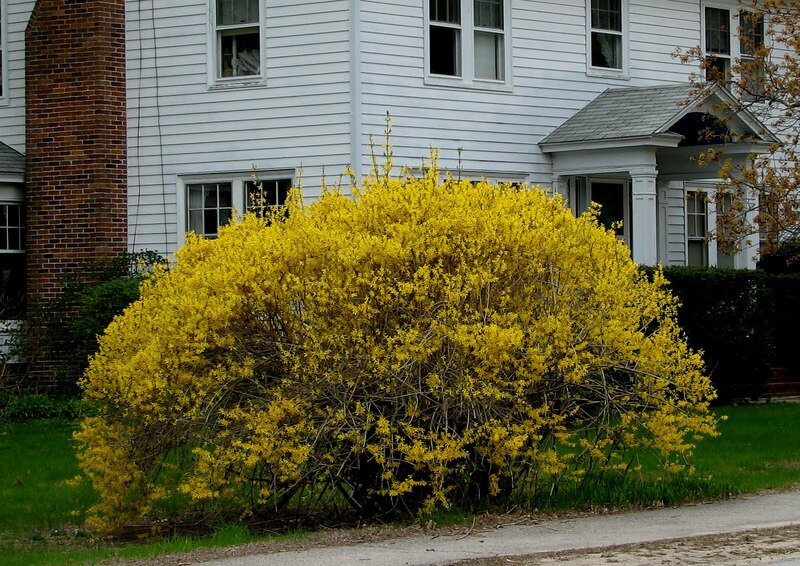 All around this former farm are old stands of forsythia, some pruned and trimmed, others huge and untamed. 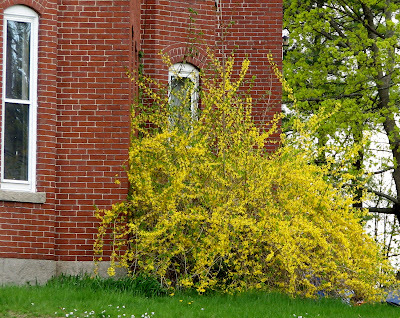 This place is a mile from my house, but until I started riding last summer, I don't remember seeing it. 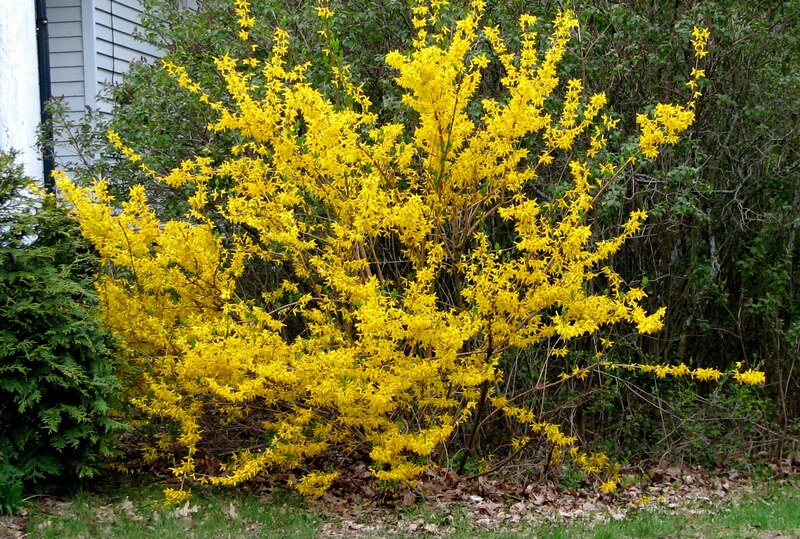 Next spring, I vow to remember to bring my camera on a long ride through forsythia-land at the first sign of yellow.